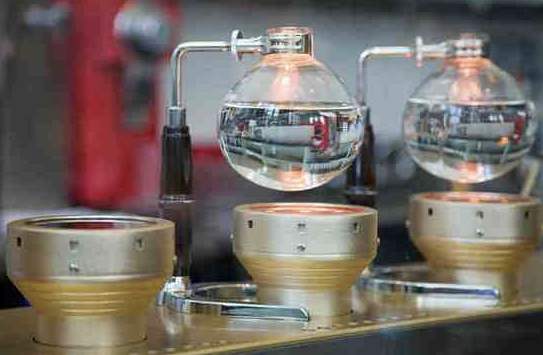 Want to Learn the Secret of Blue Bottle Coffee? Blue Bottle coffee owner James Freeman will be heading to Heath Ceramics December 13 to show the public some of the techniques from his book The Blue Bottle Craft of Coffee: Growing, Roasting, and Drinking, With Recipes. The event is free! When: Thurs., Dec. 13, 5:30-7:30 p.m.
SF Weekly has the information. Before crossing the Golden Gate Bridge from the suburbs, Jamie Goldberg was a softball player with a passion for sports reporting. Politics drive her crazy. But on trips down Mission streets, the ones that residents tell her need to be paved, she heads for the cure: “Dr. Loco" performances.